AARCH’s gallery has been made possible by the generosity of the Clayton Family and our members. Located on two levels of the historic Horse Nail Factory office building, the artwork on display is complimented by the gallery’s distinct architecture, space, and natural light. 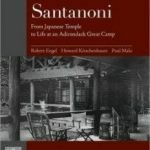 Open hours are Monday through Friday, 8am – 4pm or by arrangement. 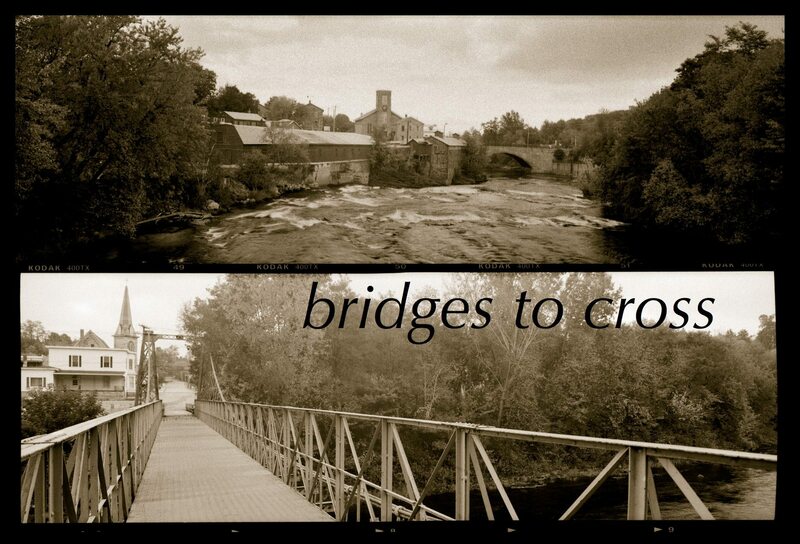 The Gallery is located at 1745 Main Street in Keeseville. 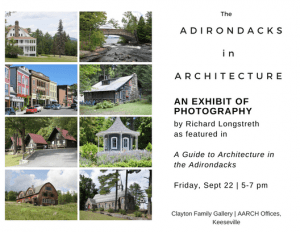 The Adirondacks in Architecture: An Exhibit of Photography by Richard Longstreth, as featured in A Guide to Architecture in the Adirondacks. Join us for an opening reception and evening with the author/photographer on Friday, September 22, 2017 at 5:00 pm. 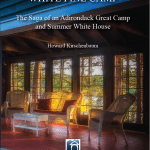 Longstreth traveled over 25,000 miles over six years researching A Guide to Architecture in the Adirondacks. Along the way, he took nearly 5,000 photographs — we’re going to share some of these images, showcasing Richard Longstreth’s unique vision, with you. June 30 through September 30, 2016. Opening reception on Thursday, June 30. 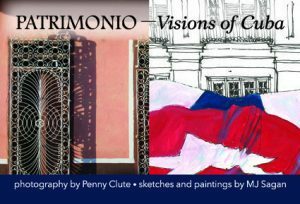 When photographer Penny Clute and architect and artist MJ Sagan traveled to Cuba on separate trips one year apart, they visited some of the same extraordinary places. 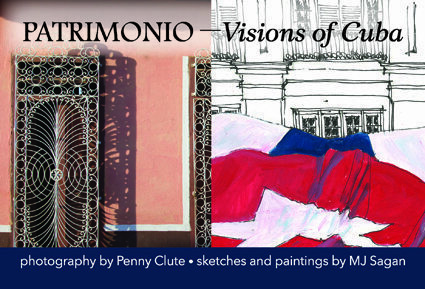 This exhibition shows their contrasting and complimentary visions of Cuba, a fascinating, complex and changing country. 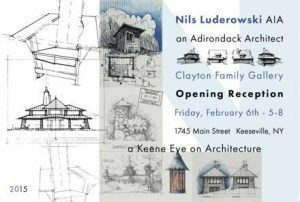 AARCH is pleased to welcome renowned architect Nils Luderowski to the Clayton Family Gallery. 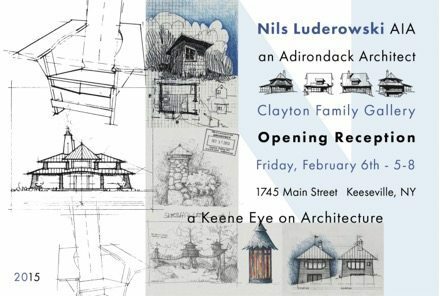 Luderowski specializes in architecture and design in an Adirondack vernacular and this exhibition features a uniquely expressive series of drawings from a variety of the architect’s regional projects.